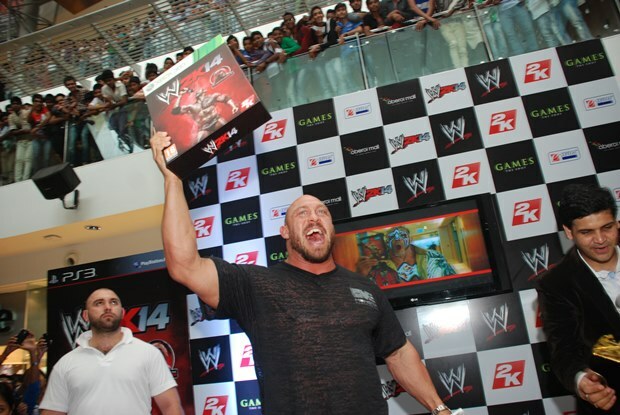 Over 12,000 fans of both the WWE 2K14 game and of wrestling flocked to Oberoi Mall in Mumbai to welcome pro-wrestler Ryback! 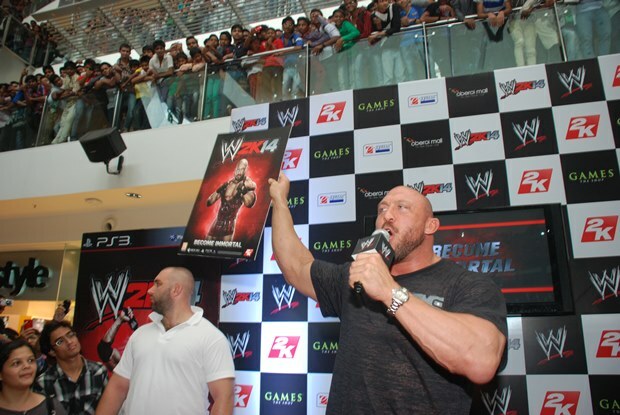 The event was organized to endorse WWE 2K14 and to announce a preorder bonus poster exclusive for gamers in India. This bonus is an addition to an earlier announced bonus, which is the Ultimate Character DLC. Aside from his appearance, the pro-wrestling star also signed a replica version of his championship belt, which will be given to one lucky preorder customer. A meet and greet with a few select gamers who preordered WWE 2K14 also happened during the weekend.